It’s a strange world out there. It’s just a few weeks since Eddie Redmayne grabbed his Oscar for playing a genius – and now we have another one. Genius, that is. This time, he’s a teenager and his gift is for maths. It’s the only thing he likes or understands in life, so it’s more than a little ironic that it also takes him right out of his comfort zone. That’s the essential idea behind documentary director Morgan Matthews’ first dramatic piece for the cinema, X + Y, but I’ve missed out one vital piece of information. Nathan (Asa Butterfield) has been diagnosed as being on the autistic spectrum. Like most teenagers, he doesn’t really get on with mum Julie (Sally Hawkins), but that’s partyly because she struggles to cope with his insensitivity and distant manner. But she does recognise his talent for maths and takes on local teacher Martin (Rafe Spall) as his tutor. He gets Nathan interested in taking part in the Maths Olympiad and, having passed the entrance exam, the boy is off to Taiwan for the final selection process. It turns out to be a personal journey as well as a physical one. The fact that Nathan is only just on the autistic spectrum implies – and the film shows – that he can be reached. All it needs is the right person and, for most of the time, the right person isn’t his mother. His father always seemed to understand him, which meant his mother relied on him to look after the boy. But he died and without his support and love, she flounders, longing for just one sign of affection from her son. Her choice of Rafe Spall’s unconventional teacher, though, is spot-on. And, at first, he has more in common with Nathan than he likes to admit. For one, he nearly made the Maths Olympiad team himself. For another, he has MS and depression but is concealing his real feelings. From which you can tell it’s a soft hearted, life affirming film, about love and how it can make life confusing. While in Taiwan, Nathan becomes friends with Zhang Mei (Jo Yang), a pretty member of the formidable Chinese team. She also happens to be the coach’s niece. Unsurprisingly, it turns into something more, with an equally unsurprisingly positive effect on the boy. In parallel, there’s the development of the relationship between his mother and Martin, just as hesitant and just as big a life changer for both teacher and mother. In case you’re thinking it’s too sweet for comfort, we do see the other, darker side of the autistic spectrum in another of the contenders for the Olympiad team, Luke (Jake Davies). Totally focussed on maths and unable to see the point of anything else, he has zero social skills, a carping, sarcastic way of speaking and, as Nathan discovers to his horror, he also self-harms. At a low point, Luke tries to make himself more popular with the group by learning the Monty Python parrot sketch off by heart and performing it, using a prawn as a substitute. Nobody laughs. So, thankfully, the film’s romantic clichés are counterbalanced by some occasionally shocking moments. Luke’s self-harming is one. The other is the car crash that killed Nathan’s father. The boy was in the passenger seat and we see his recurring but blurred memories of it – as well as flash backs of happy moments with his father – until it becomes more focussed and we see the full horror. There’s quite a line-up of British talent on show and none of them disappoint. 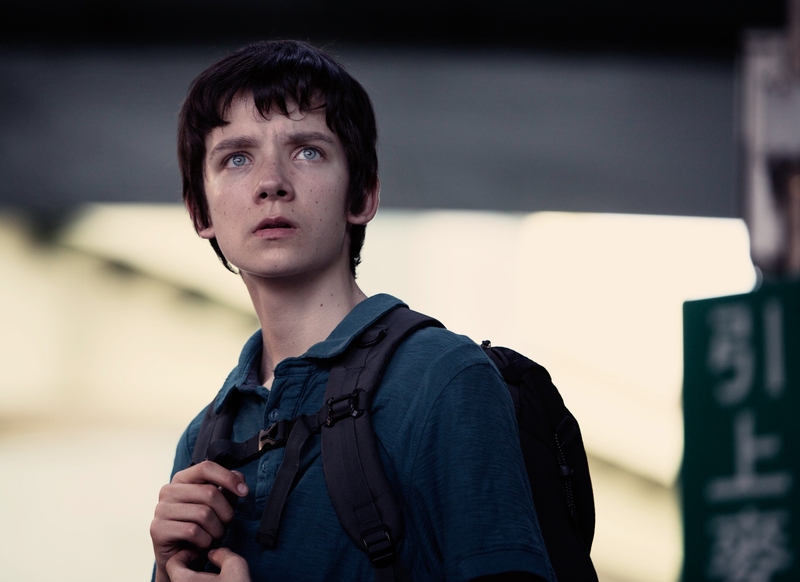 Asa Butterfield is excellent as Nathan. His eyes especially speak volumes for his bewilderment at the world around him, both in the UK and Taiwan. And Sally Hawkins combines fragility and strength as the mother who feels she can never do anything right for her son. She wears a constantly frazzled look and the assumption is that it’s all to do with Nathan – until we discover she works in a care home. Her whole life is about looking after others, with her needs always coming second. Do you need to understand the maths? They could have been talking double Dutch as far as I was concerned, but it didn’t stop me understanding the film. Nathan could have been a genius at just about anything – as long as there was an Olympiad or equivalent, it would have been fine. But maths is a sensible choice for his character as it provides the patterns and structure he needs. X + Y is another twist on the coming of age film. While it does slip into sentimental territory on more than one occasion, it’s still eminently likeable and much of that is down to the cast. It’s also just as much about the destination as the journey – and it’s a journey undertaken both by the boy and his mother. X + Y is released in cinemas on Friday, 13 March.